Still on the promotion grind behind last year's Port of Morrow, James Mercer and the rest of the Shins have announced their latest batch of tour dates. The two-week trip starts up in May at Napa, CA's Bottle Rock Festival, but the bulk of the trip will have the act playing their own headlining shows, with two taking place up in Canada. 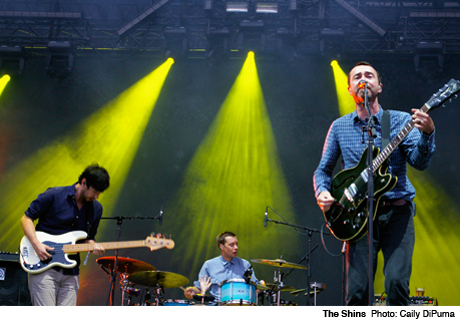 The Toronto gig at Sound Academy on May 22 is the Shins' first stop in the city since opening up for the Black Keys last summer at the Molson Amphitheatre, while their appearance at Montreal's Metropolis the next night follows last year's stop at Osheaga. You can catch the rest of the tour details down below.